The European Social Fund (ESF) with priorities of employment, skills and social inclusion. The Department for Work and Pensions (DWP) has recently launched ESF funding opportunities with a total value of £10 million for the Heart of the South West (HotSW). In support of these ESF calls for project proposals, the HotSW LEP is holding two free ‘ESF Info Events’ in September. The events aim to help prospective applicants get to grips with the live funding opportunities and what is needed for a successful ESF application. Young Opportunities (OC16S18P1151) – A £1.98 million (£0.98 million for the ‘More Developed’ area of Somerset and £1 million for the ‘Transition’ area of Devon, Plymouth and Torbay) ESF call for projects to support young people to access good quality careers and employment thereby avoiding Not in Education, Employment or Training (NEET) status in Heart of the South West LEP area. Skills in Employment (OC16S18P1152) – A £7 million (c. £2.33 million for the ‘More Developed’ area of Somerset and c. £4.67 million for the ‘transition’ area of Devon, Plymouth and Torbay) ESF call for projects offering employed individuals the opportunity to progress their skills, with a particular focus on intermediate / technical and higher-level skills (e.g. NVQ Level 3 and 4), as well as high demand skills at lower levels which enable growth (e.g. NVQ Level 2 qualifications within transformational / opportunity sectors). The Heart of the South West ESF Info Events are aimed at organisations from across the public, private and voluntary sectors with the potential to bring forward applications to the live ESF calls for project proposals. Please note that, to be eligible for ESF, applicants must be a legally constituted body. 10.00 to 12.30 (registration from 09.30) on 18 September in Taunton. Please click on the relevant link above for further details and to register your place. Places will be allocated on a ‘first come, first served’ basis and registrations will close at 5pm on Friday 7th and Friday 13 September respectively or when full – whichever is the sooner. The Heart of the South West ESF Info Events are part-funded by ESF and form part of the Heat of the South West Technical Assistance Project and the Heart of the South West LEP Conversations. 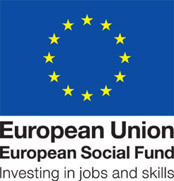 The European Social Fund (ESF) is managed and administered by the Department for Work and Pensions (DWP) with key priorities of employment and skills. Below is information relating to the ESF Funding Allocation for the Heart of the South West; details of ESF funding opportunities for projects; Events for potential applicants; and details of Funded ESF projects in the Heart of the South West. Calls / procurements through the Big Lottery (BIG) and Education and Skills Funding Agency (ESFA) as ESF ‘opt-in’ providers. Opt-ins are contracted by DWP, as the ESF Managing Authority, to deliver, via their own procured contractors, a programme of ESF activity in line with LEP area needs and priorities. Legally-constituted organisations can apply for ESF monies. A partnership can apply for ESF as long as there is a named lead applicant organisation. The table below provides details of open ESF calls for proposals in the Heart of the South West. Further information on funding opportunities and how to apply is provided in the relevant call specifications (see links below). Attend an ESF info event, for more information about the programme and how to apply. These events are scheduled to align with the launch of ESF funding opportunities. Events are free to attend, thanks to funding from the 2014-2020 European Structural and Investment funds Growth Programme for England for the Heart of the South West Technical Assistance Project, and places are allocated on a ‘first come, first served’ basis. Please e-mail HotSWESIF@somerset.gov.uk to be notified of future events. A total of £20.7 million ESF has been formally contracted in the Heart of the South West as summarised below.